Hipster alert! 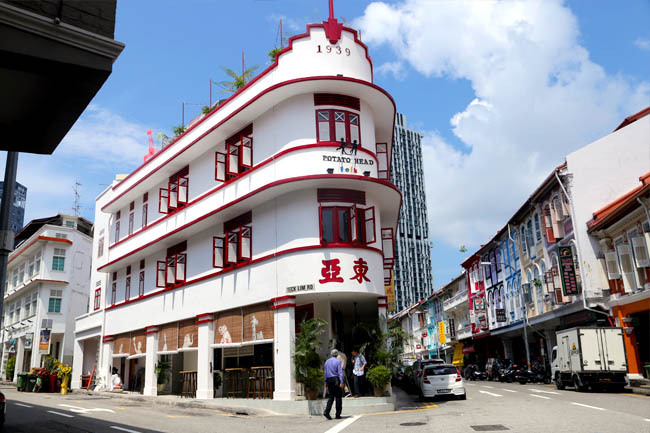 Potato Head Folk has opened its door at Keong Saik Road, housed in the most iconic building along that stretch – at the former Tong Ah Kopitiam. Bali’s Potato Head Beach Club is already known for its fantastic vibes with amazing casual food, and Singapore’s version looks like it got its magic formula put right all together. Usually when a famous imported F&B brand arrives in Singapore, I am prepared to give a ‘discount’ – maybe the food won’t be as good, service may be comprised (plus new opening jitters), or the price would be exorbitant. Well, something’s gonna give. First impressions wise, Potato Head Club seems to defy all that to embrace the entire package. There is actually good food, good vibes, good service, with good looking people around (you decide on the last point). And the prices won’t break your bank. 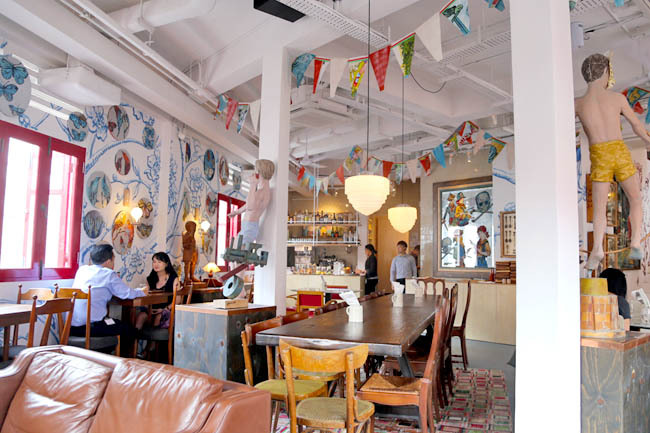 Both the exterior and interior design are top-notch (at least in Singapore’s context), collaborated with renowned Australian artist David Bromley. There is a dreamlike quirky atmosphere. Walls are painted with birds, butterflies and flowers, figurines of children add a whimsical touch, colourful banner flags hang from the ceiling for a party mood. This is selfie + instagram heaven. The flipside? The obvious smell of paint can be nauseating, and the type of crowd it attracts is a mixed bag. My ears are bombarded with accents of all types of English – both real and fake. Never knew this many existed. 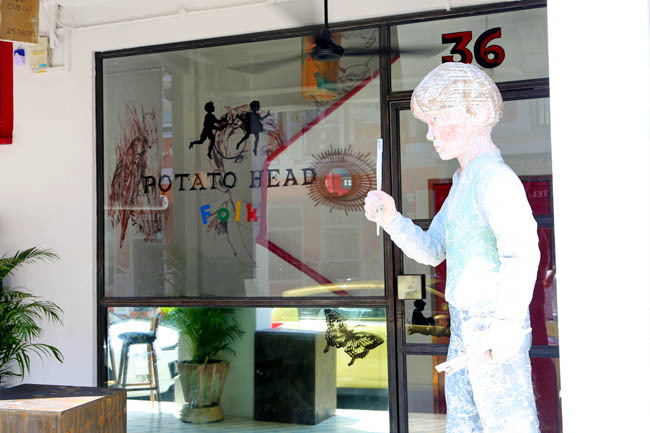 The ground floor of Potato Head Folk offers outdoor seating with the kitchen inside. No service charge is included at this level, but the weather will melt you away. Pay the 10% more to go upstairs. On its second level lies the Three Buns restaurant, a living room of sorts to people-watch. The menu includes homemade mouth-watering burgers, sides, sodas and cocktails. 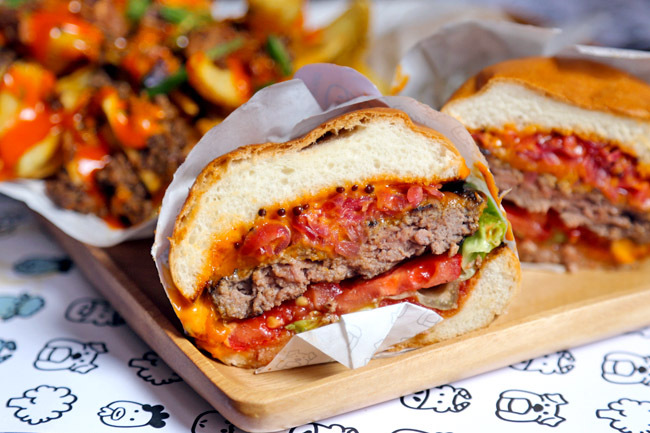 Three Bun’s signature Baby Huey Burger ($20) while small in portion, is bun soft and deliciously moist with prime 150 beef patty, pickles, spicy mayo and ‘Notorious T.O.M Sauce’. 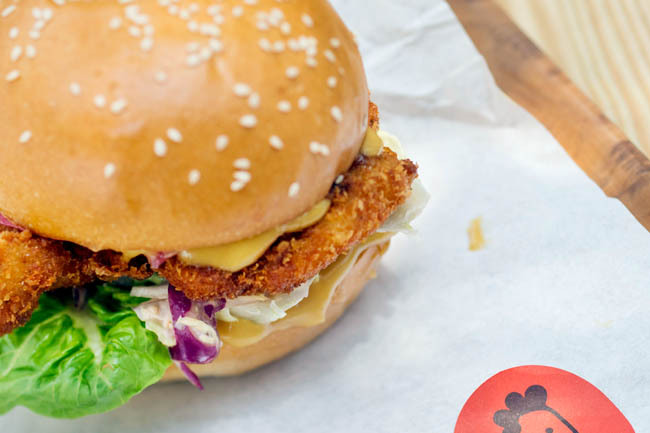 Their version can give Omakase Burger a run for the ‘Best Burger’ award. 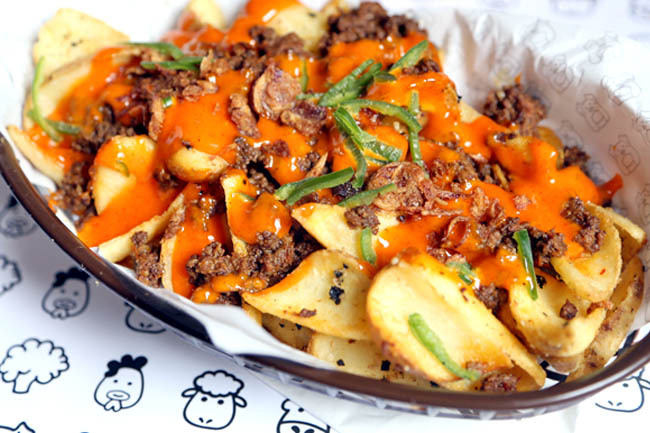 The Naughty Fries ($9) are thick hand-cut potatoes with spiced béarnaise, hot beef chilli, crispy shallots, parmesan and sesame seed. This is comfort food at its best, richly sinful and deserves a detention right in the tummy. Food overall seems inclined to the heavy in sauces and rich side – more of the ‘guy’ kind of grub food. Desserts are limited to individual dessert pots of Rich Chocolate or Zesty Lemon (both $6). The choice is obvious. 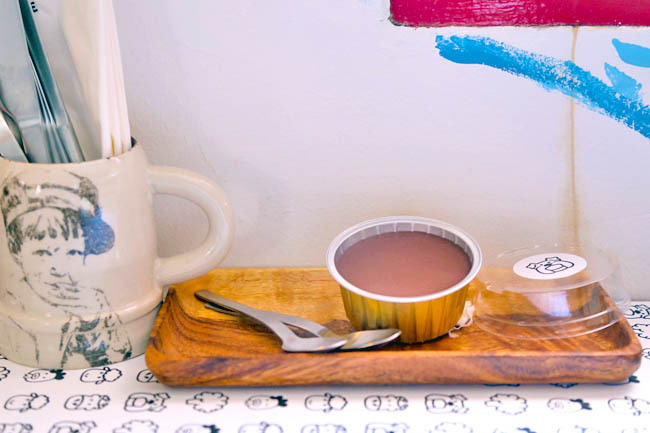 The small cup of chocolate may send thrills down the spine (like eating half a box of soft nama chocolates at a go), or make you give up trying after 2 bites. The other could be too sour. 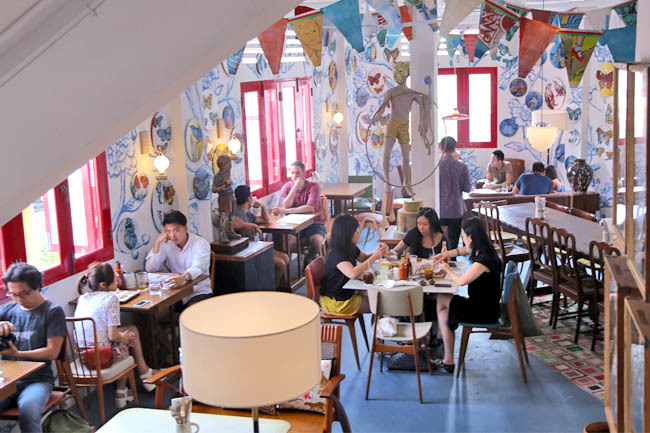 Studio 1939 on the third floor is Potato Head Folk’s intimate bar, while the rooftop is a chill-out garden. 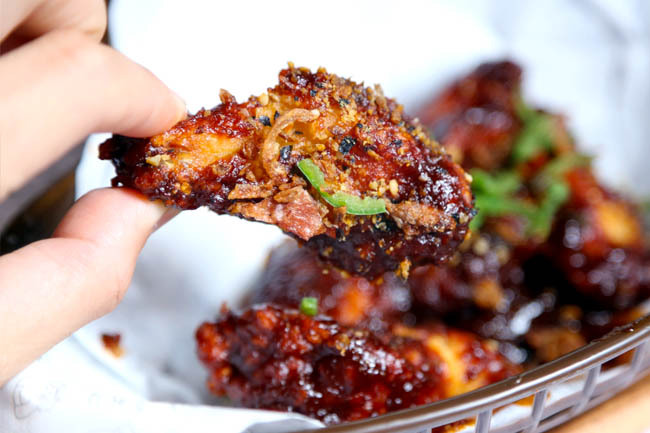 Not without its minor flaws, Potato Head Folk is still beautiful and serves good food – contains the package which will definitely make it the next place to go to in Singapore. And I would say, Congratulations to the team. wah, in one of the interior shots, the mannequin in yellow boxers looks scary. That I have to agree. Was looking at another table, and wondering why there was a ‘boy’ behind. haha. So, Three Buns occupying/sharing the same building with Bali Potato Head Beach Club in Singapore. I thought they will bring the same concept like Jakarta (lone spacious open space building). I guess it make sense with the rent cost in Singapore. Still, too bad, since their interior design concept are really stand out. Anyway, their burgers are top notch. I like their four floor burger & becoming addicted to their naughty fries (just can’t get enough digging into it). I am not so sure how you could think the burgers are comparable to Omakase’s when it is a soggy mess. compatibility problems? A handful of my blog readers have complained about my blog not operating correctly in Explorer but looks great in Chrome.